My warmly spiced, deeply delicious Pumpkin Gingerbread Muffins were inspired by the gorgeous British countryside, our Lake District, and days gone by. One cool British summer day some years ago, after lunch at the Wordsworth Hotel, my family and I took a walk through the beautiful village of Grasmere. We were drawn to a small 17th century cottage by the heady scent of gingerbread. It was utterly irresistible. The cottage was formerly a school that boasted poet William Wordsworth amongst its teachers. In the mid 1800‘s this cottage became home to one Sarah Nelson and her family. To make ends meet, Sarah began to make and sell gingerbread. The locals loved it, and eventually Sarah’s Grasmere Gingerbread became famous far and wide. Today it is still made in Sarah’s own kitchen, using the same recipe that she used all those years ago. Deep, treacly and heady with the scent of the Indies, Grasmere Gingerbread was like nothing I had ever tasted before. It was tender and moist with a deep, haunting flavour. It left me with a mild obsession with all forms of ginger. 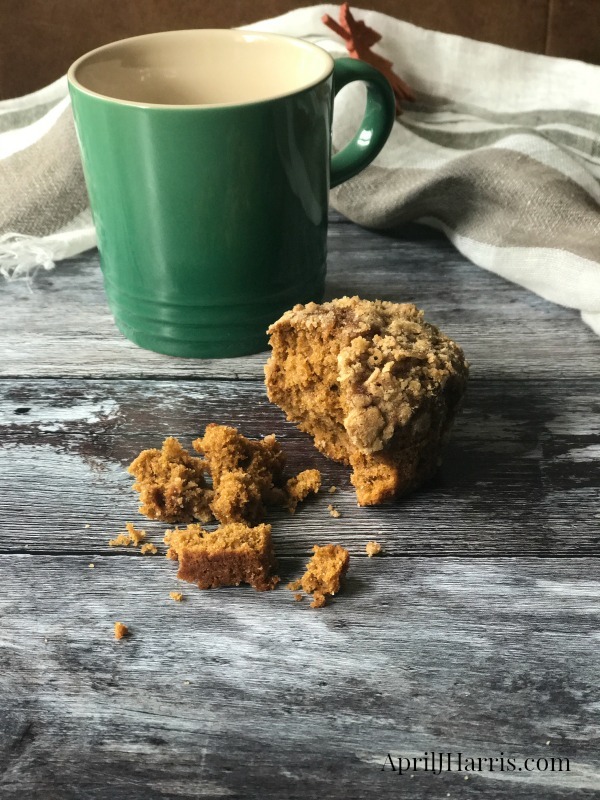 A long time ago, the lovely and talented Karen of Trilogy Edibles shared a recipe for Pumpkin Gingerbread Streusel Muffins. The recipe was so deeply, madly, richly gingerbready it immediately reminded me of that day in the Lake District and the taste and smells of Sarah’s cottage. As an homage to Sarah’s gingerbread, I decided to adapt Karen’s recipe a bit. I substituted brown sugar for white, adjusted the spicing and incorporated crystallised ginger for even more depth. Buttermilk added a bit of extra tang. It isn’t exactly like Grasmere Gingerbread…but it’s pretty close. Just biting into one of these muffins takes me back all those years ago to that lovely little cottage in the Lake District. As you can see from the photos below, I first blogged this recipe some time ago – back in 2013 in fact. The muffins, the blog, and I have evolved a little bit since then. Now, instead of using a spice mix in this recipe, I use individual spices in a bespoke combination. It’s not a big difference, but it is a good difference. Perfect with a cup of tea, coffee or a cold glass of milk, these muffins taste even better after a day’s keeping. They are the perfect warming breakfast or snack on a cold or wet winter day. Pumpkin Gingerbread Muffins also freeze really well. Thaw the muffins overnight in the fridge and serve them slightly warm. Four or five minutes at 325°F or about 160°C usually does the trick. Combine the flour, sugar, oats, cinnamon and ginger. Add the butter and cut in with a knife or pastry blender until the mixture looks like coarse crumbs. Grease and flour or line 18 muffin cups. Add the pumpkin puree, buttermilk and molasses. Sift the flour, ginger, cinnamon, nutmeg, cloves, baking soda, baking powder and salt into a medium bowl. Stir through the crystallised ginger. Add this to the creamed mixture. Blend thoroughly with a wooden spoon but do not over mix. Scoop into the prepared muffin pans using an ice cream scoop. Sprinkle with the the streusel. Bake for 20 to 25 minutes or until a toothpick inserted in the centre of a muffin comes out clean. Allow to cool before eating. If you can resist, leave the cooled muffins in a sealed container overnight before serving as it allows the flavours to develop. Muffins will keep at room temperature for 3 to 4 days, or can be frozen. These look very nice April! I’ve eaten Grasmere Gingerbread and TBH I didn’t like it, both the taste and the texture! But you’re right it is extremely unusual and different to anything else out there, I suppose it is an acquired taste and the aroma from the shop is absolutely exquisite! What a great story. I love that you have re created a special memory. I am going to pin this for later to make during the holidays. The muffins look wonderful. I love love using buttermilk in baking breads and muffins. It just adds that special “something”. Thanks for sharing! Oh, this look divine!! Pumpkin and gingerbread flavors?! YUM! The pumpkin muffins do look so good, April! I liked that you added crystallised ginger! Pinning. Thank you so much, Hadia and thank you for pinning too! I LOVE muffins that have a streusel topping! I actually have been known to pick off the streusel and leave the muffin. But yours look so inviting, I know I will gobble up the entire muffin! Sharing around! Thank you so much, Linda, and a special thank you for sharing too! These look so delicious! I am pinning and trying this recipe for sure. Thank you for sharing. Thank you, Erin, and thank you for pinning as well. 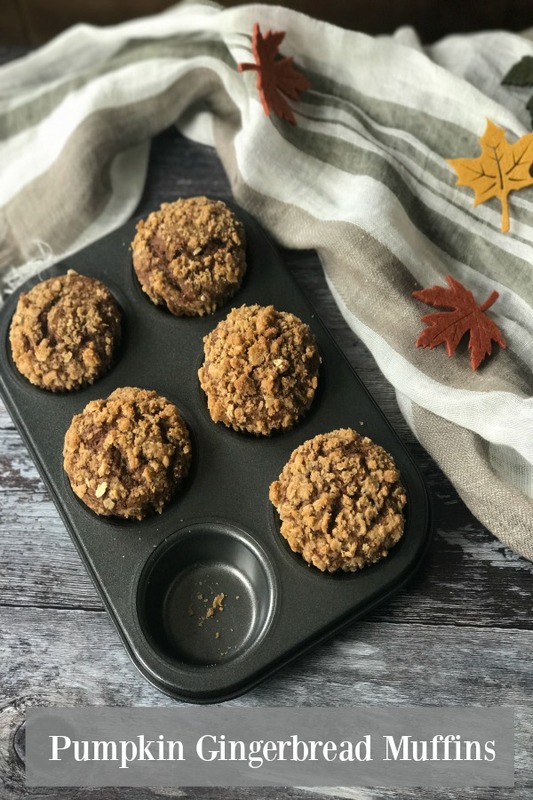 Love your description and background information of these flavorful ginger muffins. I wouldn’t mind a glass of milk and one of this muffins right now! Thank you so much, Judee. I’m so glad you enjoyed the post. I haven’t tried making them with gluten free flour yet, but I’m definitely going to give it a try! Whoo these do look yummy. 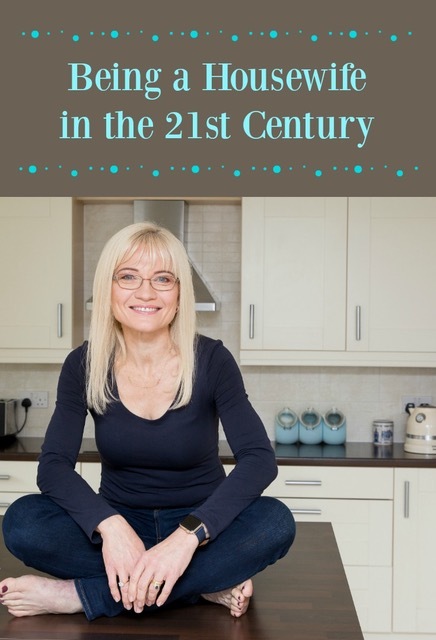 I could just reach out for one for breakfast 🙂 Thanks for sharing at the weekend blog hop. 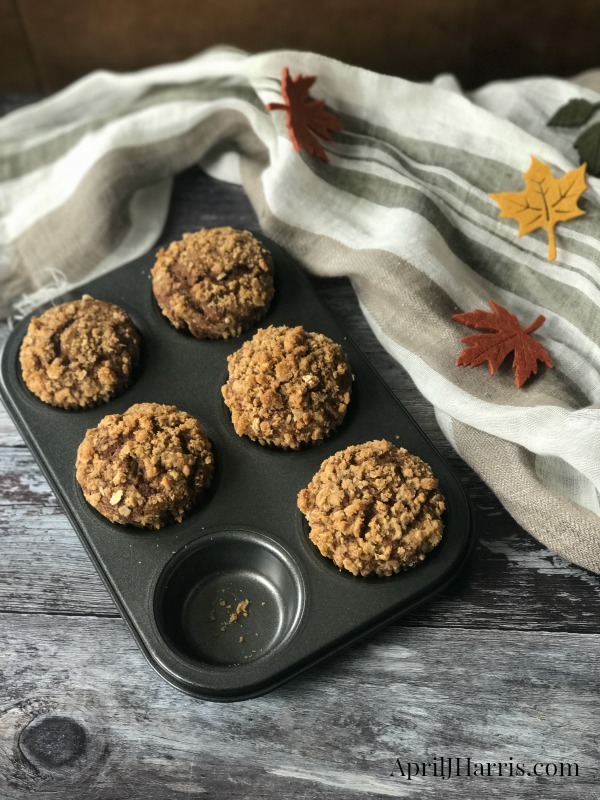 I love a muffin with streusel, these look delicious. Im sure ready for fall baking! Thank you April for sharing on #OMHGFF this week! I’m so glad you like them, Karren! Thank you for visiting. I hope your weekend was wonderful too! 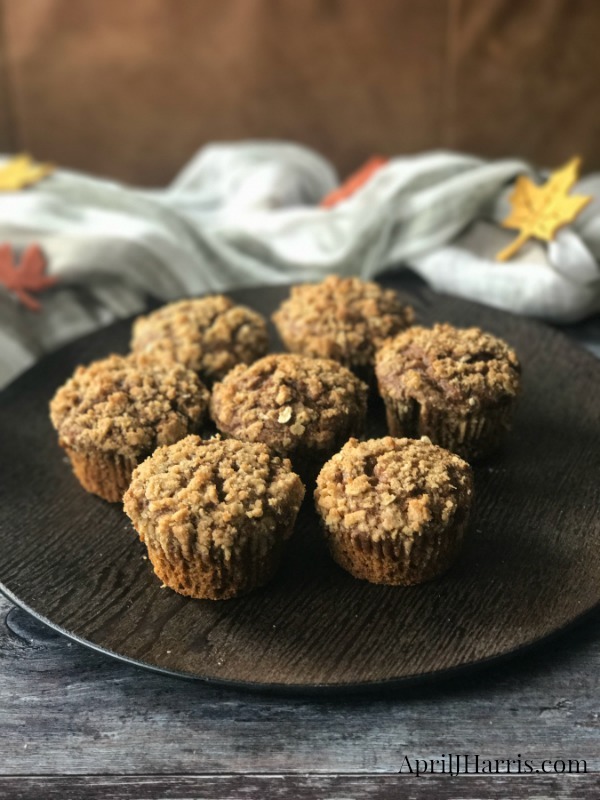 Your Pumpkin Gingerbread Muffins look delicious and perfect for a fall morning! Thanks so much for sharing with us at Full Plate Thursday. Hope you have a great week and come back to see us real soon! Thank you so much, Miz Helen. They really are one of my favourites. Hope you have a great week too! i love being near the water, Amber 🙂 How lovely to live in the Irish Lake district 🙂 Thank you so much for the compliment – the muffins are one of my favourites! These look really perfect. The texture would be so great. Pinning and I cannot wait to try them. Thank you, Leanna, and thank you for pinning too. They really are a favourite! A great muffin for the season! Thanks so much for sharing with us at Full Plate Thursday, your post is awesome. Hope you are having a great week and come back to see us soon! Thank you so much, Miz Helen! I hope your week is going well too! You always make the best muffins, these look yummylicious!!! Thank you so much, Karren, and thank you for the feature as well! I hope you have a lovely weekend too! Hmm, my grandmother lived not too far from the Lake District and her gingerbread was amazing, too! You’ve inspired me to hunt down the recipe and dig out the treacle and/or golden syrup! But I love the sound of the pumpkin addition, too. 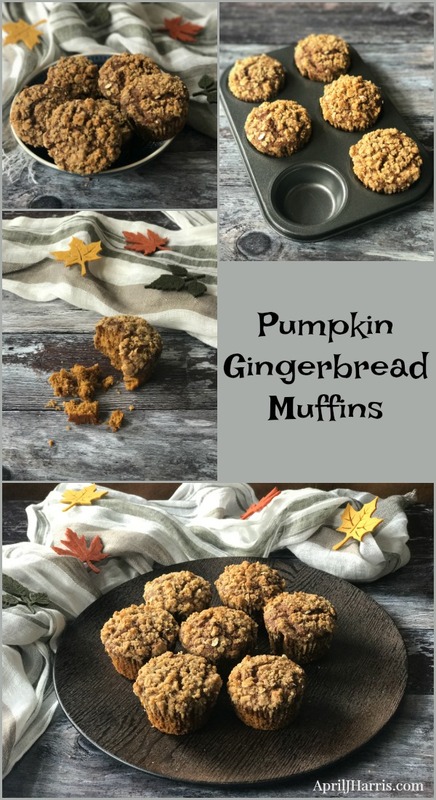 We love pumpkin and ginger and these muffins sound fabulous. Thank you for sharing at Reader Tip Tuesday.